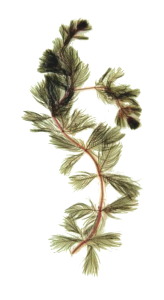 SOLitude Lake Management, of Shrewsbury, MA has been contracted by the Monomonac Lake Property Owners Association to chemically treat portions of Monomonac Lake in Rindge for control of non-native milfoil. Portions will be treated with the USEPA/State registered Reward (Diquat) herbicide, EPA Registration Number 100-1091 on Monday, June 8, 2017. • No swimming for 24 hours following treatment, within 200 feet of treated areas. The shoreline will be posted with signs warning of the temporary water use restrictions that will be imposed, immediately prior to treatment. 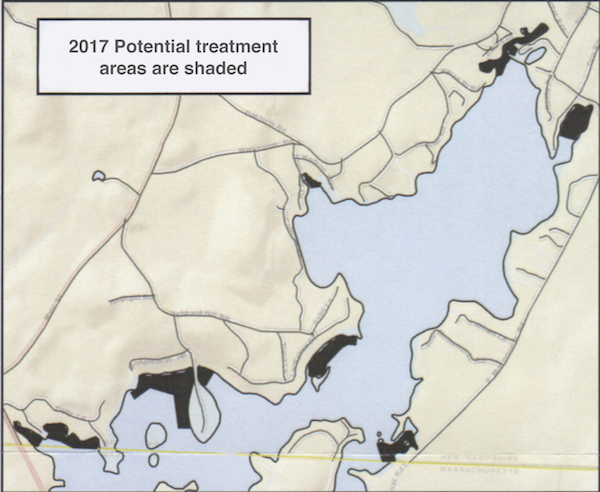 If you have any questions concerning this treatment, contact SOLitude Lake Management at 508-885-0101. 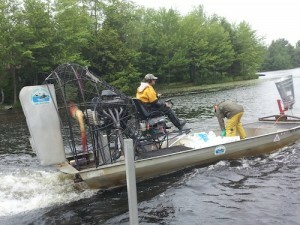 Another effort MLPOA undertakes is Water Quality Monitoring. Every year for the past 25 years 14 areas of the lake are tested in the summer months for bacteria (e-coli), pH and other water characteristics.